That old rugged cross! Without it we would be doomed! But God sent His Son to pay for our sins and to give us ever lasting life, eternal! This is my faith, this is the faith that I preach! This is the Good News, the Gospel! Simple, direct, real. 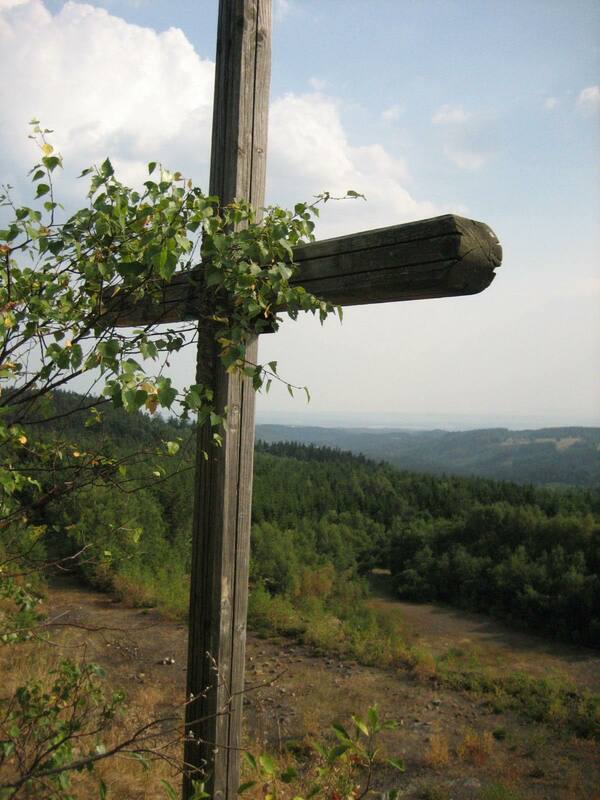 Ranchers, farmers, rural people, all can have eternal life by coming to the Cross. No matter what a person ever did, no matter what the life style was, God has forgiven you and a person just has to come to the cross and surrender. No strings attached, just surrender the fight against God and against life itself. We were made to be eternal being, to have fellowship with God the Father, the Creator of everything there is. This new year this is the message, the message that I will be preaching to any and all that will listen. From farm to farm, ranch to ranch, small town to small town, this is the message, the Good News! Just finished up another day out here. It was a whirlwind type of day for a while. Running around like nuts this morning getting things ready for synchronizing heifers for A-Iing next week. I didn’t know that they had tightened up the rules for some of the products that we use in this and it requires a prescription from the vets. So there was allot of running around the countryside this morning and I felt like some big time rancher driving, (fast) down the rural state highway, on the cell phone putting things in order. All’s well though, things got taken care of, the stuff got sold to me, even though I wasn’t picking it up. Just got sold on my name and because of my name. That’s one thing about life out here in fly over land allot of regular folks don’t believe or understand, how a reputation and a man’s word mean so much. I know that most of the folks that I call friends are using plastic in order to by stuff. But I guess I’m just an old hold out and prefer cash, green. It never fails to amaze me how many businesses love it when paid this way! This is the way that I love to live though. Straight forward, no nonsense, where the word is everything. I know that’s really falling by the wayside nowadays, even in the church. Guess you could call me old school in many ways. Some say,”well now Tom, you gotta keep up with the times!”, but I don’t really care. Just look at how churches today are trying to be models of suburbia. Now let me tell you, you start trying to shove modern suburban religion down this old cattle man’s throat and the out come ain’t all that great. I remember years ago, when I wasn’t on fire for the Lord, but still attending church here and there, I would always say that I’d trust the good ol’ boys at the salesbarn or the bar borrowing money from me than these church folk.Cause I knew that the chances of being paid back by many of the church folk were nil. In fact, and this is a fact, a few of them would spend more time in bankruptcy court than trying to pay back what “they owed”. What they borrowed. Now nobody forced them to borrow, they just had to keep up with the Jones. Then a life changer happened to me a few years ago, about this time of the year. I attended a wake and a funeral for one of the good ol’boys in the area. Now this good ol’ boy was a rock solid Christian although I do believe he would be looked down at in many of today’s high class churches. And it was at those events where I know I received a major call on my life. Why? Because there was allot of “good ol’ boys” attending. In regular work clothes, some didn’t know that they should take their hats off during the funeral service and all. If ever I had a tug on my heart from our Lord Jesus Christ it was then. That was when I seen the call on my life, to go to the outcasts, to go the regular folk. And there are so very many! I was dwelling on this today after running the heifers down the chute and I finally went out baling in a meadow. There I have time to think, to dwell, to talk with God. This is why I love the Gospel. This is why I’m attracted to the Gospel of Jesus Christ. Because it destroys the high and mighty and reaches down to the unwanted. This is why I always said that its better to be a town drunk than a modern church goer most of the time. At least when your a drunk you are what you are. Jesus went to the unwanted, Jesus loved them. Jesus also loved the high society, religious people cause He ain’t no respecter of persons. Jesus didn’t reject those high society religious folks, they rejected Him. But the outcasts didn’t. They call the Gospel of Luke, the Gospel of Outcasts and it truly is true. When a person reads it with that in mind, that comes shining through like a bright light! I don’t want some religion where everyone acts so “good”. Cause its just an act and that’s all it is. I don’t want to waste my time with suburban religion, nope, just keep it simple and talk about the Blood and the Cross. Stick to the truth, not tickling folks’ ears. Yep, that’s why I love the Gospels. That’s why I read them over and over because without them a fella has nothing. I don’t think I’ll ever be an epistle preacher because I am more the Gospel type person. I love to proclaim the Gospel, I love the Good News! Praise the Lord for the Good News! That news that can set anyone free. Jesus suffered and died on the cross for the outcasts, as much as for any proper church folk. The countryside is full of people starving for the real thing, not what’s called church by in debt, middle America, but the real thing. A God that changes lives, not making folks proper to attend these modern churches where they aren’t welcome anyhow. The outcasts, saved by the Jesus on that cross. Lord, how I love this Gospel! The hope it brings to the folks that aren’t understood and are looked down upon. The summer is progressing here where the Great Plains meet the north woods. Making hay all the time and already have more made than all of last year, and there’s allot to go. Just started the meadow hay and as I work daily I see the second cutting hay is growing up rather rapidly and there won’t be much of a break between the first and second crops. This weekend there’s a large summer carnival in a small town about 13 miles away and we’ll be heading over that way this Sunday morning for a joint church service of area churches, although several churches supposedly are involved, only two really show up and do the work. But that’s the way it usually goes in this day and age.I must say though, that those two churches are the type of churches that I feel very comfortable with. The real thing, not some old dead religion. With all this summer work its almost my off season as far as ministry work goes. Just a bit too busy most of the time, but the way it looks, the ministry season should start earlier than the last few years this year because things slow down here, well kinda, after corn silage is chopped. I don’t pick much corn and won’t be picking any this year that I know of so if silage chopping is around Labor Day, things will slow down so at least the evenings will be much more open. I can’t wait! I was thinking about getting a different pick up truck but have decided not to, to many other things that want that money, so instead of a good used pick up to drive around the area in I figure on cleaning up the three quarter ton flat bed truck and buying a new seat cover and away we go. That thing is a gas hog but its a bear in bad weather. It’ll go through almost anything. There’s stacks of Bibles to pass out, and there will be stacks of tracts too. 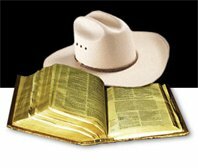 A while back I was reading a book called Apostle Cowboy Style, written by the late Glenn Smith and he was writing about his earlier days in ministry and how the Bible opened up to Ezekiel and he got inspired to go on with the thankless ministry that he had been doing. And after a while it did take off because he was doing it God’s way, not his way. That evening while checking out what ol’ Glenn had read the pages landed on Ezekiel 37 and I read on. What I read amazed me and spoke to me. When I read this I had a vision. Now let me tell you, I’m not one of those folks that has visions all the time. In fact I have only had two that I can ever remember and this is the second one. The first one was over four years ago. This is a day time thing not a dream. But I seen something that has shook me allot. I seen a valley, a valley in fact where the town where the carnival is happening this weekend, and I seen it all from an areal view, perfectly. I seen a valley of dry bones, I seen a people living there, the living dead, so many of them. And the Lord say, “go speak to these dry bones and I will make them alive.” There’s allot more to it all, the surrounding town, farms and ranches, but this is the nucleus of it. To preach the Cross, to preach the Blood. Its not up to me to convince anyone, its not up to me to “save” anyone. Heck I couldn’t even save myself, Jesus did that for me on the Cross! My calling is to say, “Thus saith the Lord.” To preach to any that God sends in front of me. To wait on God’s timing,not Tom’s timing. To not worry what man thinks, to only fear the Lord, not man. The Lord showed me what would happen with simple obedience, the dry bones would come to life. Since this vision happened a couple of months ago, I brought it to the prayer group before every service at our little rural church and we have been praying this through. We have been speaking it forth in prayer, believing, standing on the Word of God!